A few weeks ago we closed out 2015 by listing out our Top 10 Board Games of 2015. That was an incredibly difficult task because there were so many great games released last year. Since then, we’ve decided to take one last look at 2015, but this time in the digital realm. Over the past years, we have been gifted with a number of amazing ports of our favorite tabletop games translated to our iPads. Games like Lords of Waterdeep, Agricola, and Galaxy Trucker have set the bench mark for what a digital version of a board game should be. Compiling this list ended up being a lot harder than I expected. First, it’s near impossible to find a comprehensive list of what games were released in 2015. We had to do a lot of digging and even then, there wasn’t the glut of amazing games released like we experienced on our tabletops. Camel Up is a fantastic family board game where players are placing bets on a race around an Egyptian pyramid. 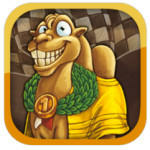 While we love Camel Up, the digital version could stand to use a bit more polish. The tutorial isn’t that great and there is no online multiplayer. But neither of those are deal breakers and for fans of the game, this can be an easy way to get a quick fix in. To be honest, I didn’t expect Coup to make this list. 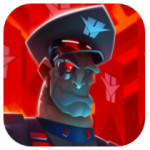 Coup debuted in early 2015 and after downloading the app and playing it, I immediately deleted it. It was terrible. Long wait times, too many demanding in app purchases, and just overall terrible game play. Well it seems the developer took all these criticisms to heart and has made a number of updates to the game to address the early complaints. Coup is reported to be a much more enjoyable app now. 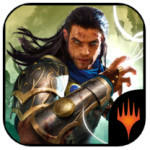 Magic: The Gathering has been releasing a new app every year for quite a while now. Overall I have enjoyed these apps because they have allowed me to get my Magic: The Gathering fix in without having to spend a lot of money on actual cards. I rarely play magic anymore but if I do, it’s via this iPad app. Dice Town is a fun board game where players are rolling dice to create poker hands that allow them to take the actions they want in the game. The digital version boasts some nice looking graphics, a tutorial, and quick game play. Unfortunately it only allows for solo play right now. Still, if you enjoy Dice Town, this one is worth checking out. 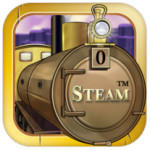 Steam is a popular, award winning board game from veteran designer Martin Wallace. This euro game is about building railroads and using them to deliver goods. Steam – Rails to Riches features the original artwork and rules from the game, and offers solo play vs various AI levels or pass and play with friends. While not perfect, the Steam – Rails to Riches is solidly built and a must for Martin Wallace fans. 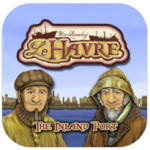 Le Havre: The Inland Port is a very faithful adaption of the board game of the same name. That’s a great thing if you loved the tabletop game. Myself, I’m not a fan of it as it’s just too dry for my tastes. That being said, I can recognize a well-built app when I play one. Le Havre: The Inland Port is a two player only game that was clearly developed with great attention to detail. The app takes care of much of the game’s bookkeeping for you and also features nice touches like animations in the background and an intuitive interface. 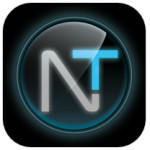 Just barely making the cut, this app was released near the end of December. Reiner Knizia’s: The Confrontation is a reskinned (and more generic) version of his game, Lord of the Rings: The Confrontation. Personally, I much preferred the Lord of the Rings license and was a bit bummed when it got switched to a generic fantasy setting. Still, if you are a fan of the game, you might not mind the new theme. Having backed the original Xenoshyft Kickstarter, I was excited to see an app was in development. Xenoshyft is a hard-to-win cooperative card game where players are trying to fend off an alien attack. After playing both, I think I actually prefer the iOS version. It players quicker, and takes a lot of bookkeeping out of the players hands. 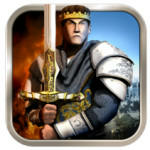 The app itself is really well designed and makes for a great play experience. Brass just barely missed out on the #1 spot. This is the second Martin Wallace title to get released this year and easily the better of the two. I had never played Brass before playing on the app and found it to be a really well designed game. A word of caution though, Brass is a heavy euro game, so if you are a casual gamer, this one might not be for you. For the rest of us though, if the thought of earning money as an industrialist in Pre-Modern England sounds like fun to you, Brass will be a must buy for you. 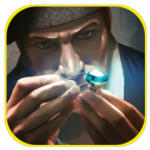 The gameplay is solid and the app was clearly created with attention to detail in mind. Barely getting the nod over Brass is Splendor. Thanks to its accessible nature and beautiful implementation, Splendor scores the top spot in our Top 10 iPad Board Games of 2015. Days of Wonder (who also designed the Ticket to Ride app) sure knows what they are doing when it comes to creating iOS board game apps. Splendor plays smoothly, works well on an iPad, and is a must own for fans of the game, or people looking for a great gateway game. 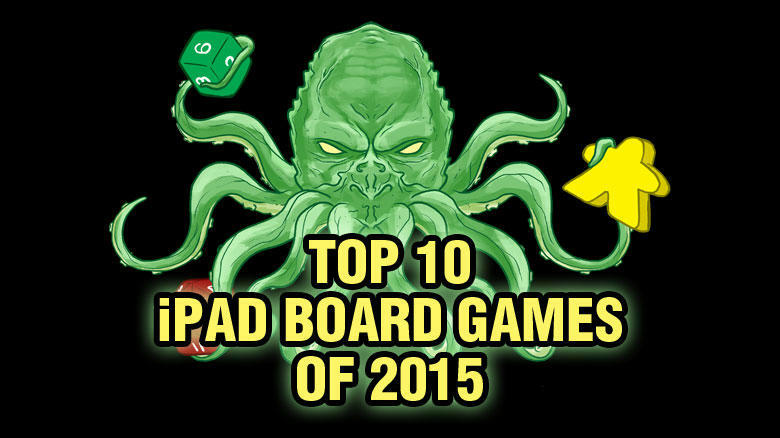 So these are our Top Ten iOS Board Games of 2015. What was your favorite digital board game from last year? Hi Tom, While a really fun game, Battlelore: Command was actually released in November 0f 2014, so unfortunately it wouldn’t qualify.